A “double-chin”can make you look older and heavier than you are. Often caused by genetics or aging, it is nearly impossible to target the”double-chin” region with diet or exercise alone. 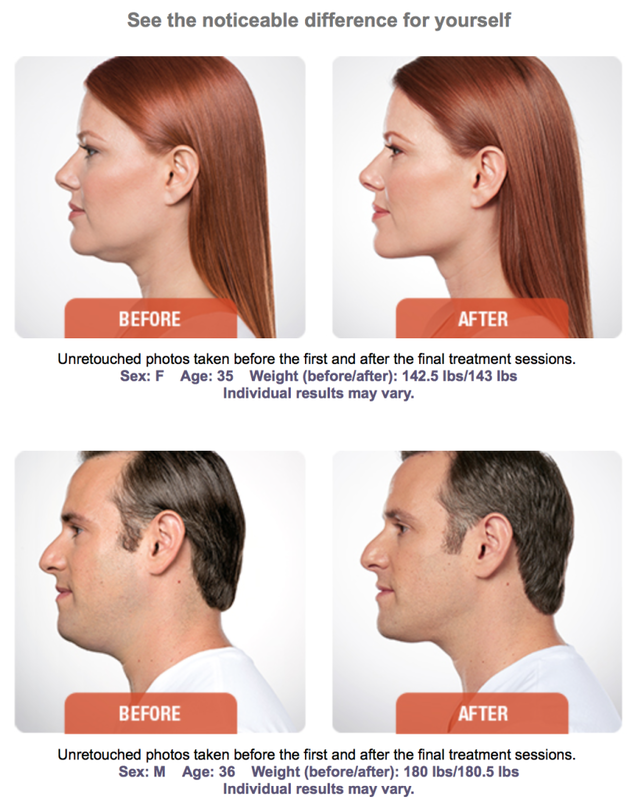 KYBELLA is an FDA-approved injectable treatment that safely and permanently dissolves excess fat in the neck and under the chin, without the downtime of a surgical procedure. KYBELLA is a non-human, non-animal derived version of deoxycholic acid, a chemical that is naturally occurring in the body and is responsible for the breakdown and absorption of dietary fats. KYBELLA is injected into the treatment area and works to permanently dissolve the fat cells. Once the area is treated, the fat cells can no longer store or accumulate fat and are cleared away by your body’s natural processes. 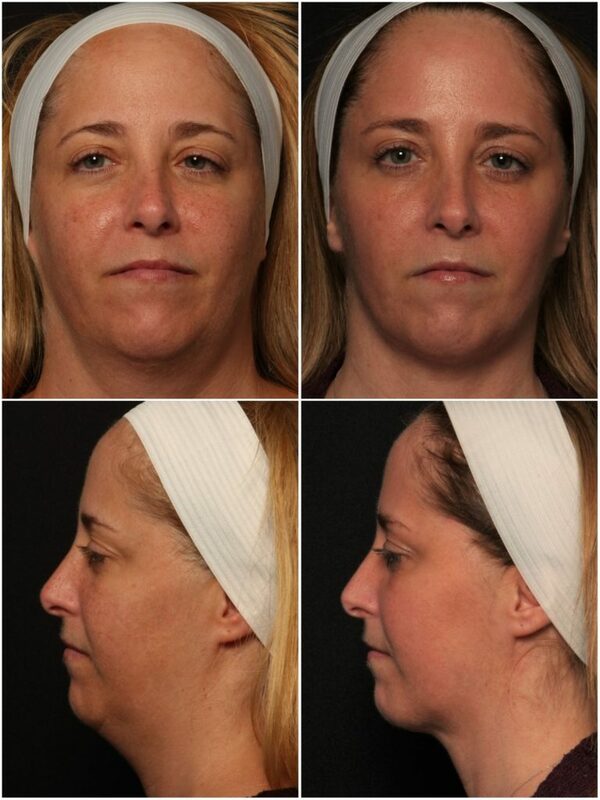 Before and after: submental fullness (double chin) treated three times with Kybella. Treatment performed by Melissa Giordano, RN, CANS, CPSN. Patients with fullness underneath the chin are great candidates for KYBELLA. Patients with good skin tone in this area make the best candidates. However, those with loose and hanging skin (“turkey neck”) are not good candidates, as KYBELLA is not intended to remove or tighten the skin. Patients who have this problem may be ideal candidates for a neck lift surgery. The number of recommended treatments will be determined during your consultation. While many patients will benefit from just 2 treatments, most patients generally require 3-4 treatment sessions spaced about 6 weeks apart to see optimal results. The number of treatments varies by patient, depending on the size of the treatment area and aesthetic goals. Once you’ve reached your full results, we do not anticipate you needing more treatments, as long as you maintain the results with a healthy diet and exercise. Each treatment takes less than 10 minutes to perform. You can expect to be at our office for about 30 minutes for each visit. KYBELLA is injected with a very fine needle. A slight burning sensation can be felt as the solution is injected. Mild to moderate discomfort can be expected during the time of the treatment and this can be minimized with cool compressions prior to the treatment. Immediately after a treatment with KYBELLA, patients typically have slight discomfort in the treatment area for a short period of time which resolves relatively quickly. The first few days are hallmarked by swelling and possible bruising. The swelling gradually diminishes over the course of 7-10 days. Most patients experience temporary numbness in the treatment area for the first few days. WHAT CAN I EXPECT FOR MY SECOND SERIES OF INJECTIONS? Patients typically experience substantially less swelling and bruising than the first session. 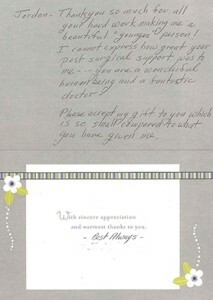 Patients also notice improved contouring and skin retraction in the neck region as each treatment continues. Typically, results are visible at about a month after each treatment, at which time you should come in for your next session. Positive changes are expected to become even more evident after the second treatment takes full affect. Once you have reached your desired level of correction, it is not expected that you will need re-treatment in the future. DO I NEED TO HAVE ANESTHESIA OR GO TO THE OPERATING ROOM TO HAVE KYBELLA? No anesthesia is required as KYBELLA is a non-surgical treatment that is conveniently performed in our office. Pricing for KYBELLA is based on your specific concerns and how many treatments you may need. Schedule a consultation today and we will gladly review pricing options for you. Contact The Breslow Center in Paramus, New Jersey at 201-444-9522 to find out if KYBELLA is right for you!